One of my favorite things about Android is the “OK Google” command that allows you to perform quick voice searches on a whim. Now iPhone users can (sort of) join in on the fun. 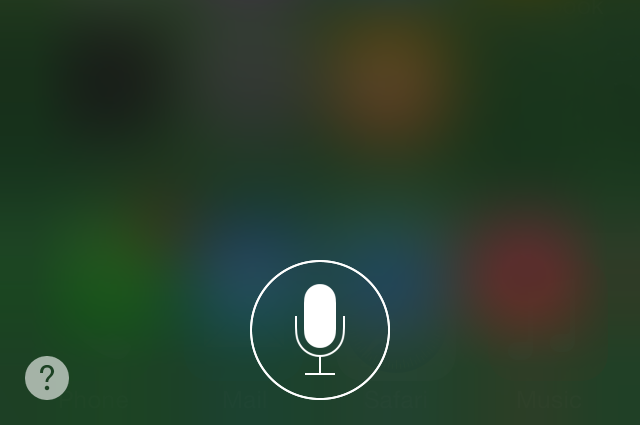 OkSiri is a brand new jailbreak tweak that brings always-on voice recognition to iOS 7 devices. Have a look at our video walkthrough inside for a demonstration of how it works. 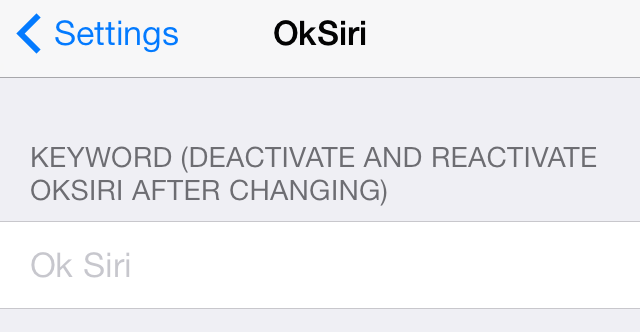 After installing OkSiri, you’ll need to venture into the Settings app to configure it. The first thing you’ll need to do is setup Activator and setup a keyword. 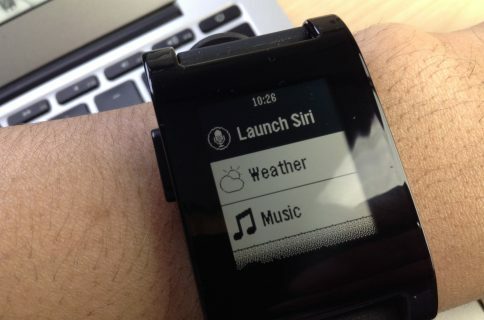 OkSiri uses Activator to enable listening and for executing a specific actions once the keyword is detected. 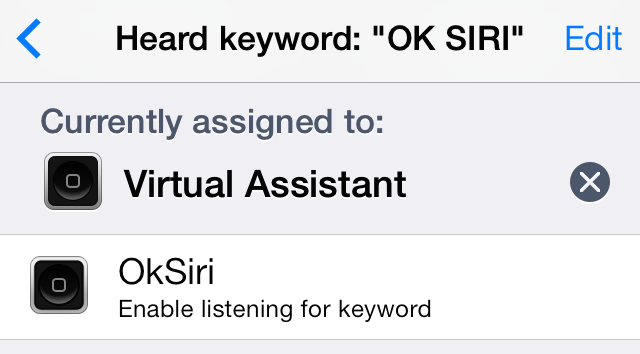 The keyword defaults to “Ok Siri” but it can be changed via the tweak’s preferences. I setup listening to start after a double-tap of the status bar, and I setup Siri to launch once the keyword was detected. Now, whenever I say “Ok Siri,” Siri should launch and be ready to take my command. In theory, it’s possible to setup OkSiri to launch any Activator action once it hears the keyword, it’s not just limited to Siri. You could make iOS launch the compose new tweet pop-up whenever you say “new tweet” or you can combine some other keyword/action combination; the choice is up to you. 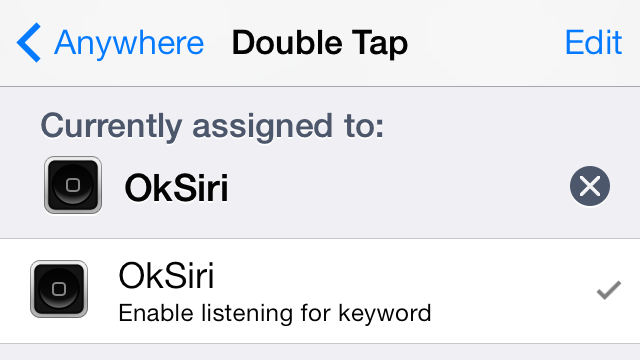 With all of that being said, I found that OkSiri didn’t work as reliably as I expected. It failed to respond to my voice commands many times with the tweak active and listening, and even when it did, I found it to be buggy and unstable at times. Once the tweak is working reliably, OkSiri will be a fairly powerful way to execute actions at any time via voice commands. Even with the irregular responses, I recommend giving it a try, because it’s free on the BigBoss repo. What has your experience been like with OkSiri? Is it working fine for you? Sound off down below in the comments.